When going through fertility challenges, it is easy to become discouraged, disheartened, and defeated (The 3 Evil D’s). Fall is a season for balancing light and dark, letting go, and accepting the impermanence of things. The autumn equinox has days and nights of equal length, marking balance between light and darkness. Far too often we fear the dark, however we can use this “darkness” to become more inward, a silent nurturance, a place where your soul can take solace and grow. 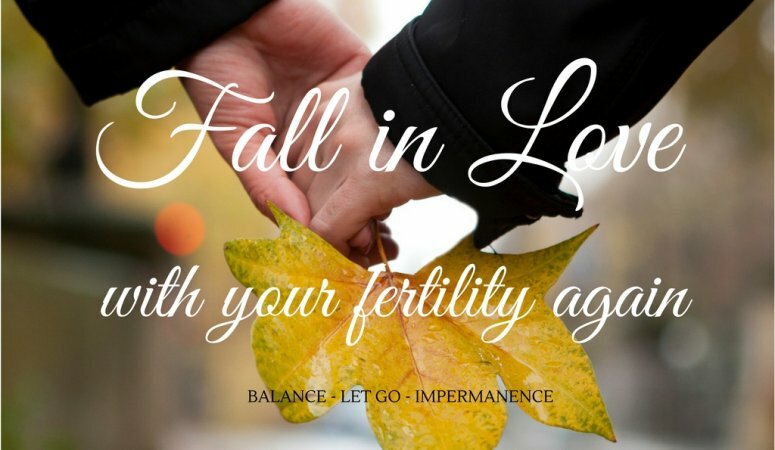 So too, can you begin to find the balance between the light and the dark in your fertility journey. Welcome the darkness and stop viewing it as the enemy. In the same way, don’t forget to let the light in! Fall also marks the season of letting go. The falling leaves mirror the letting go that we have to do of old stagnant patterns, negative thoughts, previous failures, and past disappointments. Only then can we live in the present, work on ourselves now, and have gratitude for everything around us. Letting go is the first step in moving forward. Lastly, and possibly by favourite part of the Fall, is its symbolism of impermanence. The Spring comes with budding flowers and green leaves, while the Fall strips the trees of these leaves and flowers brown. How does this relate to you? Whatever troubles you had in the past with getting pregnant, whatever you have tried and hasn’t worked, whatever you have been told, THIS CAN CHANGE. There are always new avenues to walk down, new people to talk to you, changes you can make NOW to your diet and lifestyle that can positively affect your ability to conceive. Your journey is not over. The buds and flowers will return. So enjoy the changing colours, embrace the darkness, and look forward to what is coming next! Happy FALL!